Stonehenge Aotearoa, set in the rural countryside of the Wairarapa, is unique in New Zealand and internationally as a place of science and wonder. This beautiful, fully illustrated colour guide book takes you on a tour of this inspiring structure – and the amazing prehistoric monuments which inspired its creation. When members of the Phoenix Astronomical Society set out to create in New Zealand a modern version of the 4000-year-old Stonehenge on England’s Salisbury Plains, they decided it would be not a replica, but a modern interpretation – Stonehenge as it might have been had it been built in the Southern Hemisphere, at this particular latitude and longitude. What would such a structure reveal about the movement of the sun, the stars and the planets? What could be learnt about the mythologies of ancient peoples? And what insights gained into the amazing voyages of discovery, both real and imaginative, that have brought the human race to the present day? This astonishing project has been assisted by the Royal Society and the New Zealand government’s Science and Technology Development Fund. The aim is to encourage everyone, irrespective of background, age or ethnicity, to become inspired by science – particularly astronomy – and gain a greater understanding of the physical universe around them. 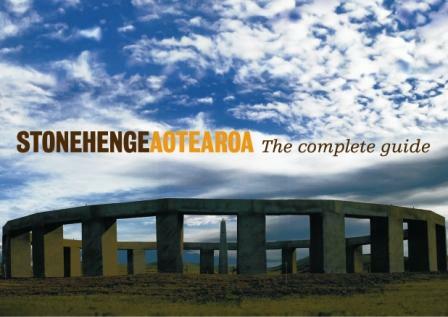 Stonehenge Aotearoa shows in a captivating way the links between astronomy, archaeology, anthropology, history, the social sciences and Maoritanga – Maori customs and beliefs. * Fascinating information about the original Stonehenge in England – and other prehistoric stone circles, statues and monuments around the world.